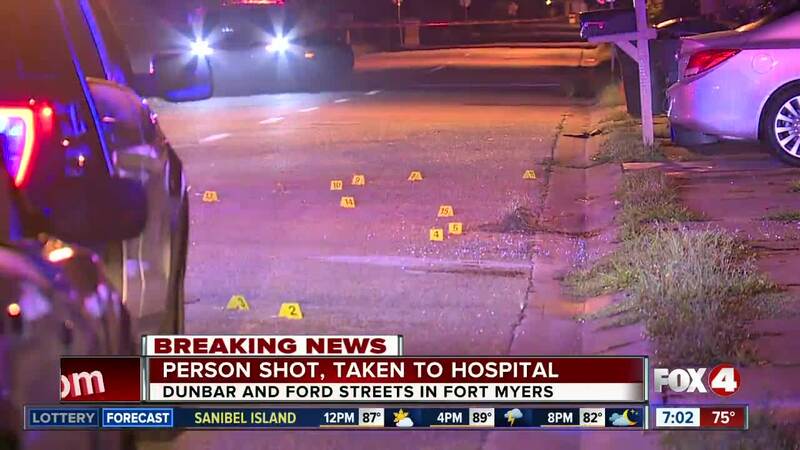 FORT MYERS, Fla. – Police are investigating a shooting early Tuesday in the Dunbar community of Fort Myers. The call went out just before 5 a.m.
Our crew tells us there are crime scene markers all over the street in the 3100 block of Dunbar Street, just off Ford Street. That is near Franklin Park School. Fort Myers Police tell Fox 4 that one person was shot and sent to the hospital. UPDATE (11AM) -- Police have identified the victim as 30-year-old Tyrone Williams. He told police that he was standing on the corner when two men approached him and started firing. He started to run away but was struck by gunfire in the right leg. He was taken to Lee Memorial for treatment, and declined to press charges.